A few days ago I made a light fig cake. Those of you who know me, know I’m unable to sit still while waiting for anything. 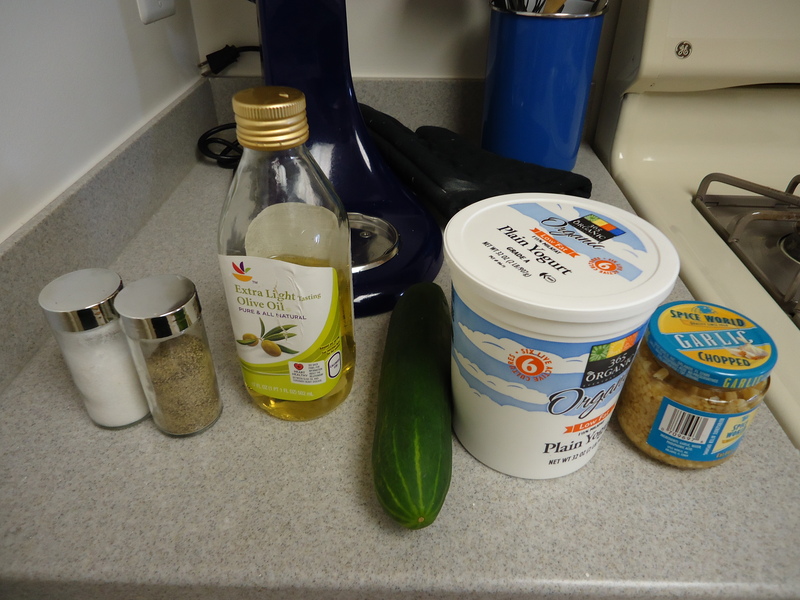 So, I decided I would throw together a Quick Tzatziki Dip to distract me from staring down the timer or perching in front of the oven window. 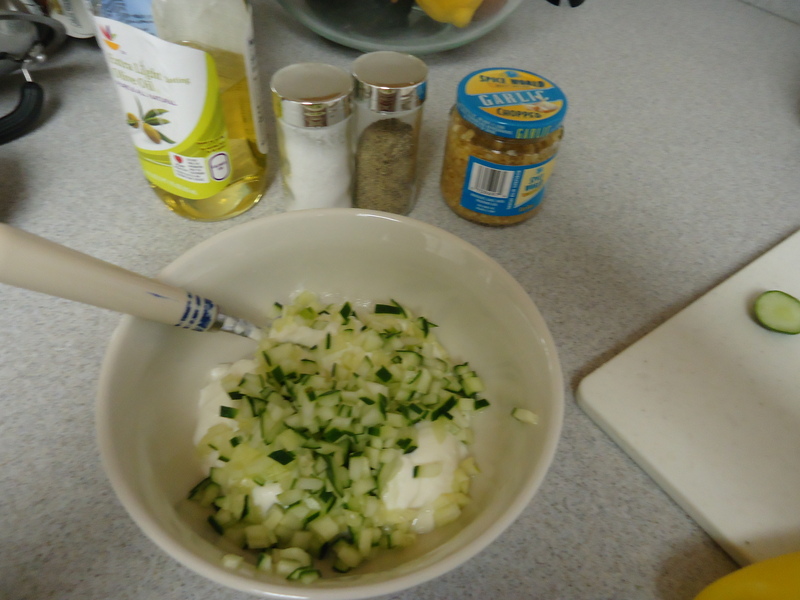 In a bowl add your yogurt, chopped cucumber, lemon juice, garlic and olive oil. Stir to make sure you have the right consistency, and add salt, pepper and oregano. Taste to adjust the flavors and serve cool from the fridge with fresh raw veggies or warm toasted pita. 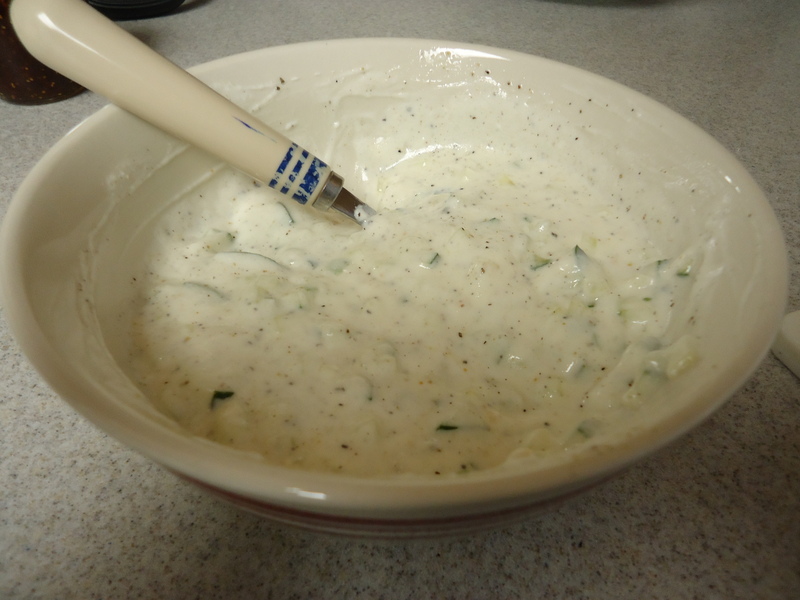 Most traditional tzatziki dips include fresh chopped dill instead of oregano. I leave this part up to you. I also think it’s delicious with grilled chicken, lamb or even salmon. This dip is neither complicated nor photogenic. It IS flavorful, fast and a real crowd-pleaser. Try making this for your next gathering.